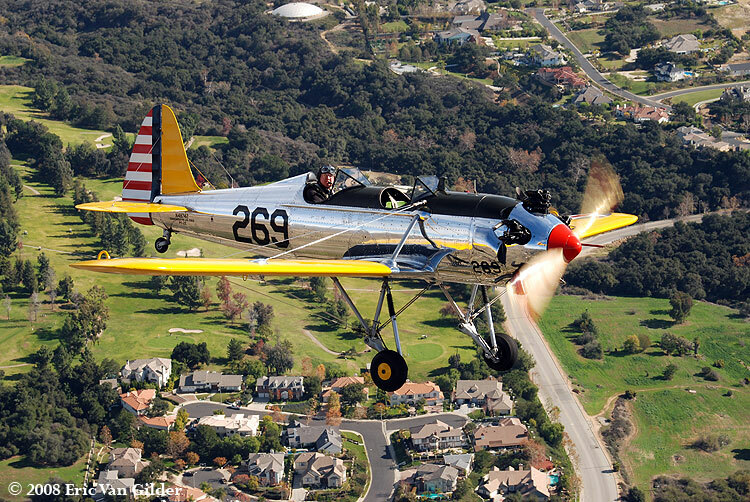 The Ryan PT-22 Recruit began as a design for a sport trainer in the civilian sector. It evolved into the PT-22 Recruit. 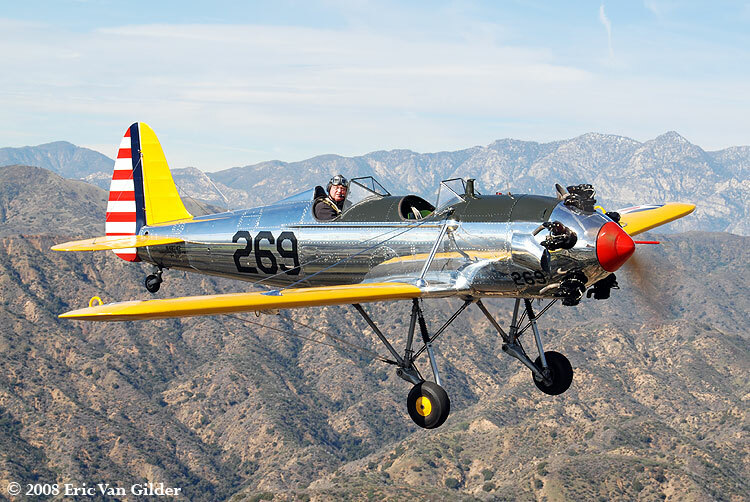 The PT-22 was the first monoplane trainer for the US Army. 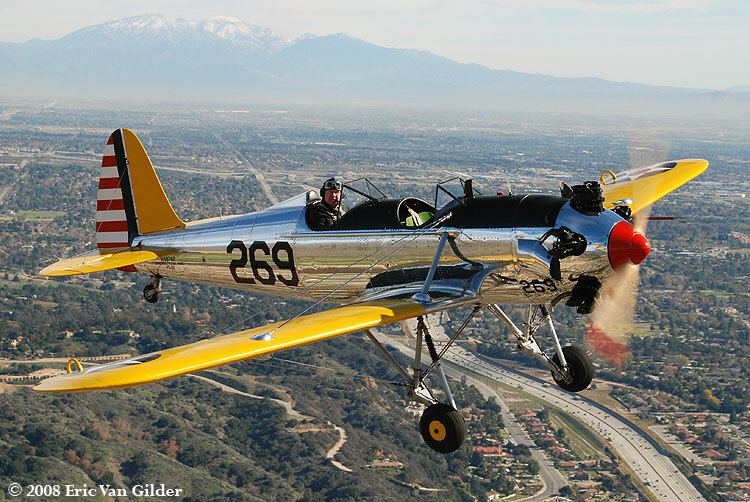 One of the distinctive features of the PT-22 is the Kinner five-cylinder radial engine that has a very unique sound. That sound would later earn them the nickname "Maytag Messershmitts". The US Navy also flew them and dubbed them the NR-1. The Netherlands called them the NR-3. Over 1,200 of them were made during WWII. 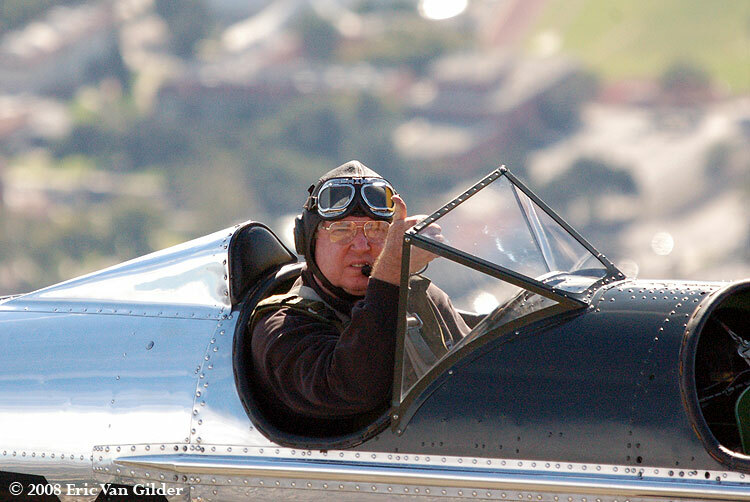 Today, about 80 are still flying. 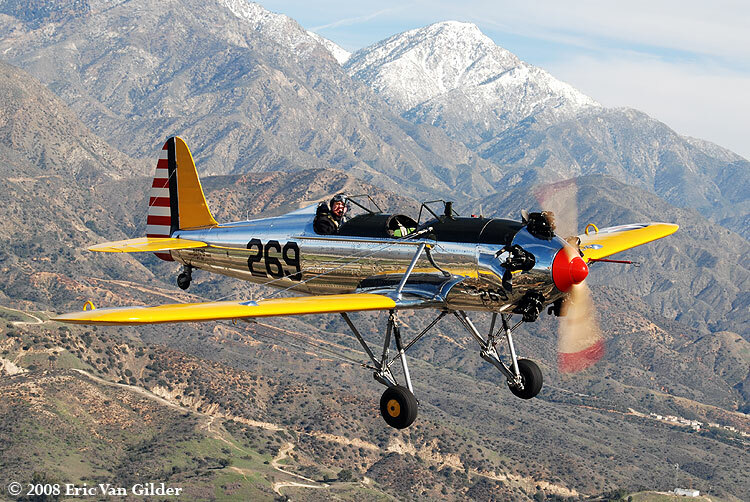 This one was built in 1941 and is operated by the Commemorative Air Force Inland Empire Wing based at Riverside Airport. They have had this PT-22 since 1992. 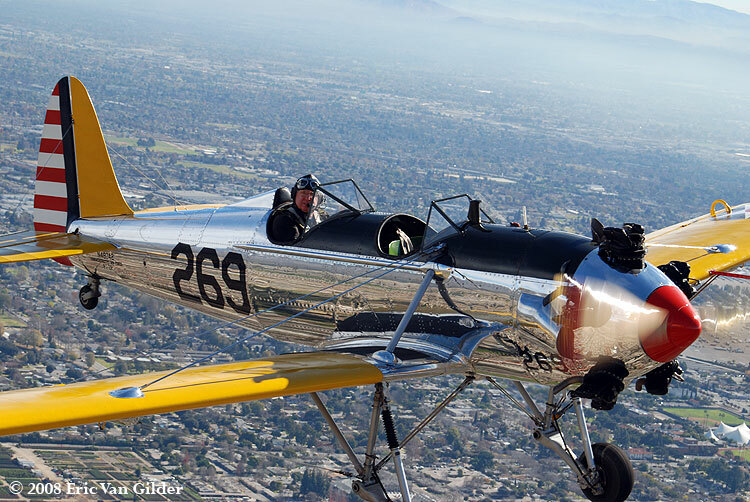 It was flown by Colonel Terry Freedman for this shoot.